A good library is never just a warehouse for books, it’s a community spot where learning, engagement and interaction with new ideas happens – at all ages. So, with the kids’ corner of the library really shaping up, we turned our attention today to some older learners in Nyabiheke. All of the school kids in Nyabiheke are learning English as a part of their curriculum. But for adults, there’s no formal mechanism for them to learn and practice English – a skill some of them will really need if they are ever resettled. That’s where Innocent stepped in. Innocent was an English teacher in Congo before coming to Nyabiheke. 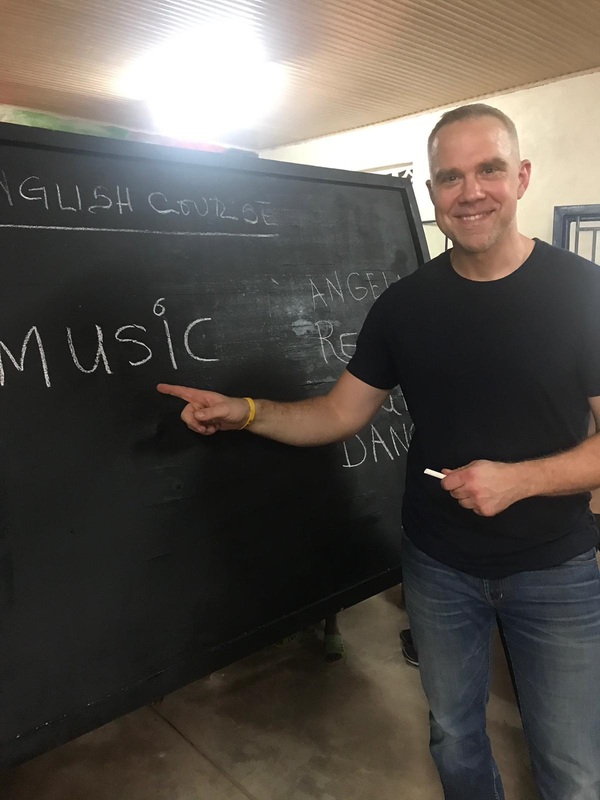 And for the last couple of years he has been teaching a weekly English class for any adults who want to learn. 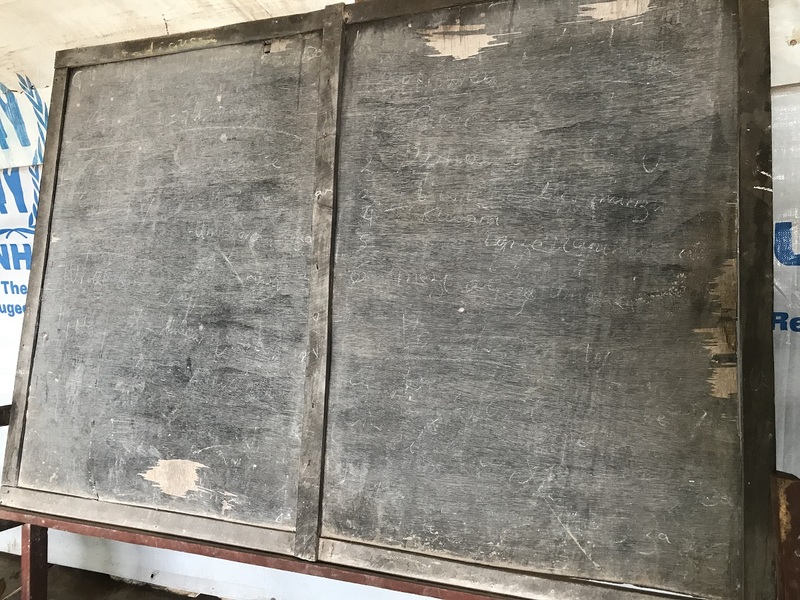 His only teaching materials – a beat-up old blackboard. Innocent is doing a real service for his community. The least we could do was get him the things he needed to properly teach his class, to recognize the professional he is. We had a new blackboard made in the camp and purchased a supply of chalk to last a good long time. We also bought English learning books especially for adults with digital learning tools and headphones they could use to keep practicing in Nyabiheke’s new Computer Lab. And as a token for all he’s given to his community, we gave Innocent a new bike to help him get around the camp and to town.